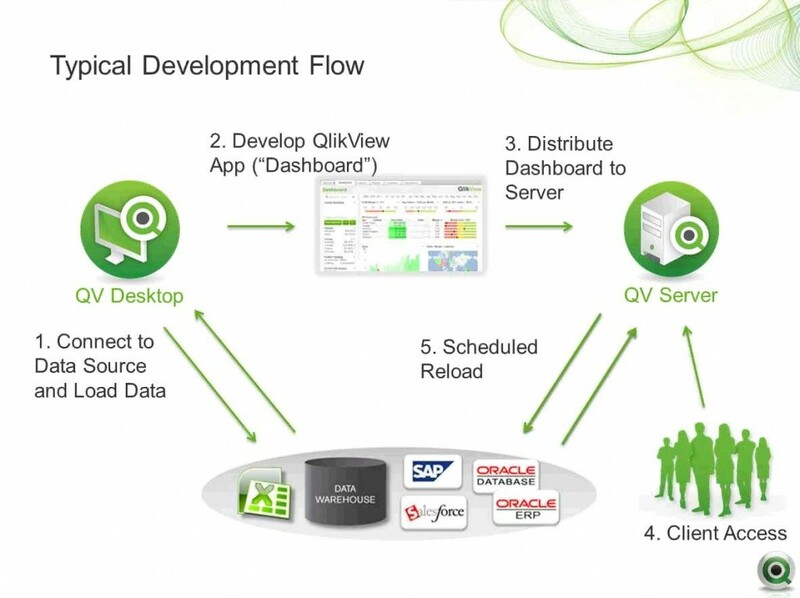 Qlikview platform provides a complete end-to-end solution consist of data source connectors, desktop development software, and back-end server infrastructure. A typical development flow starts with identifying a data source, usually a data warehouse, database, or even an excel spreadsheet. 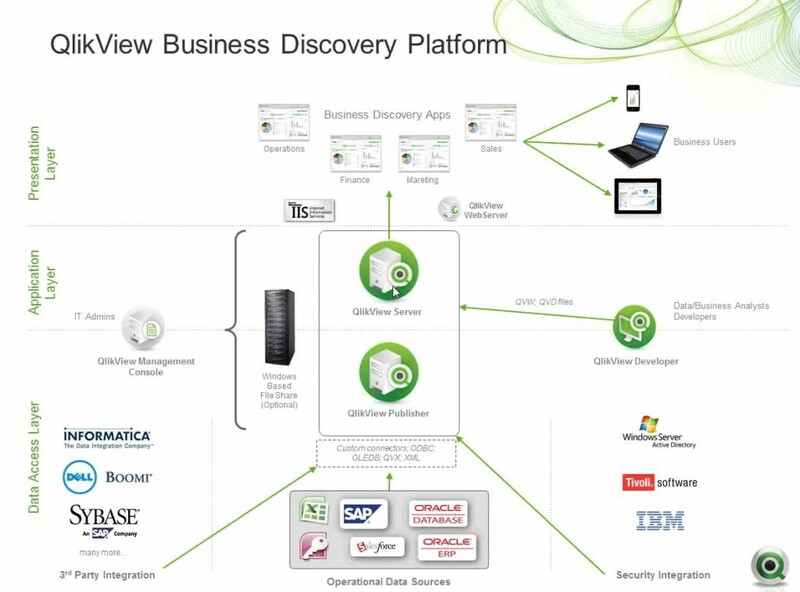 Business analyst will define the use cases for the data visualization, and the Qlikview developer will build out the visualization and data connection. Once the design is complete, the qlikview dashboard can be publish to a Qlikview server where a web access point can serve up the dashboard to any web browser.